Paul Bowman - These boots are made for walking!!!! 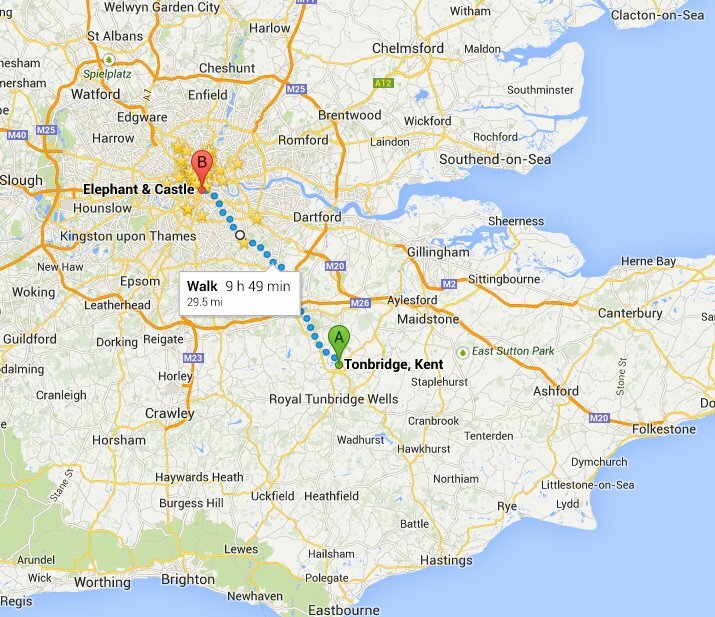 Tonbridge man Paul Bowman will be walking from Tonbridge to London tomorrow. Yes, walking!!!! 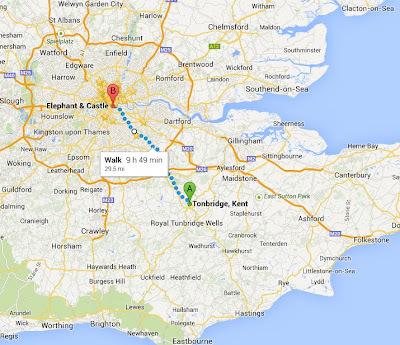 He is starting off at his home at 6am, and will walk to his old workplace depot at the Elephant & Castle. (Paul's a London Underground train driver). He is walking to raise money for a charity set up for his friend Brian Munro, who is fighting cancer. The general route will be along existing roads, but Paul will probably take a few footpath shortcuts, mainly between Sevenoaks and Bromley. He will walk through Tonbridge, Hildenborough, Sevenoaks, Dunton Green, Knockholt, Farnborough, Bromley, Downham, Catford, Brockley, Nunhead, Old Kent Road, then Elephant & Castle. It's making me tired reading about it. This is from Google Maps just to give an idea of the distance Paul will be walking, and the estimated time given by Google is ten hours, but presumably isn't accounting for breaks! How long do you think it will take? 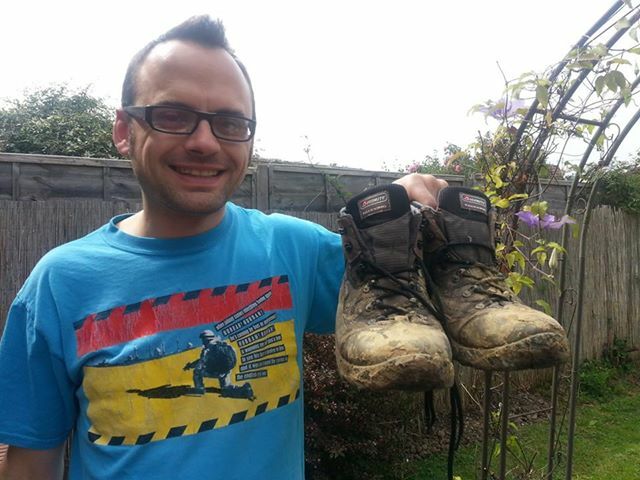 If you think Paul's boots are mucky now just wait until he's walked from Tonbridge to the Elephant and Castle. Paul will be posting updates on his progress.